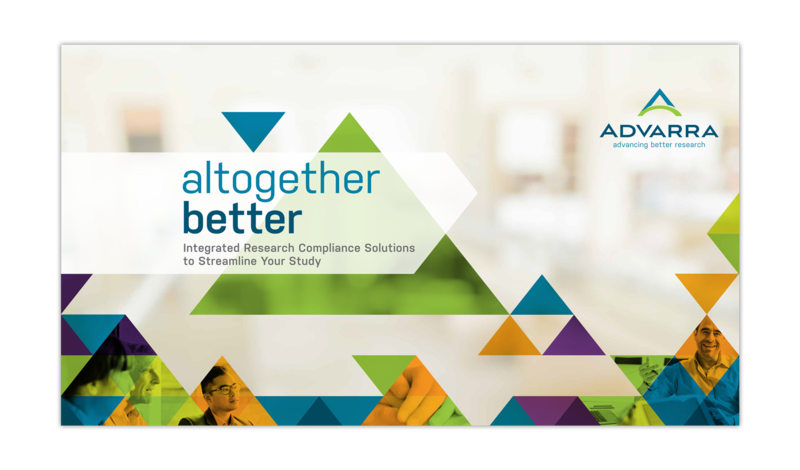 When Chesapeake IRB, one of the research industry’s most respected institutional review boards (IRBs), decided to merge with Schulman IRB, the companies reached out to SCORR for help. 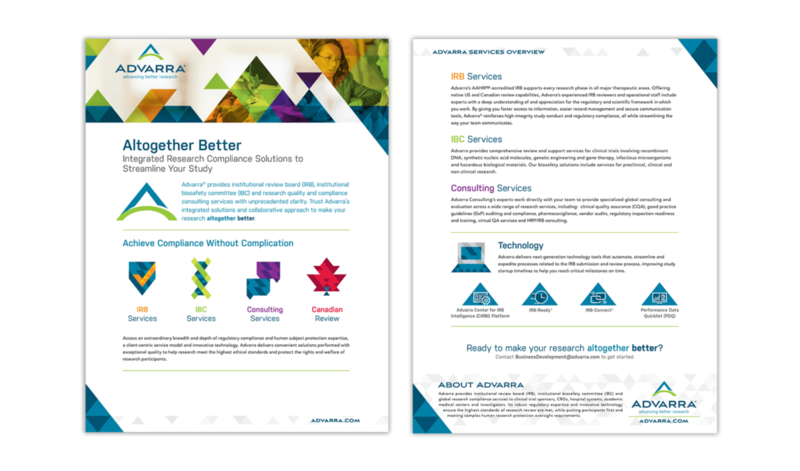 They needed to build a unified brand that would demonstrate the new company’s deep commitment to providing integrated compliance services that advance research. After exploring multiple naming strategies, SCORR recommended the IRBs consider a new name and logo that would communicate the combined benefits of the company. Of several names proposed, Advarra (the convergence of ADV=advancing and ARA=protection in Latin) was the unanimous winner. SCORR developed an accompanying logo. 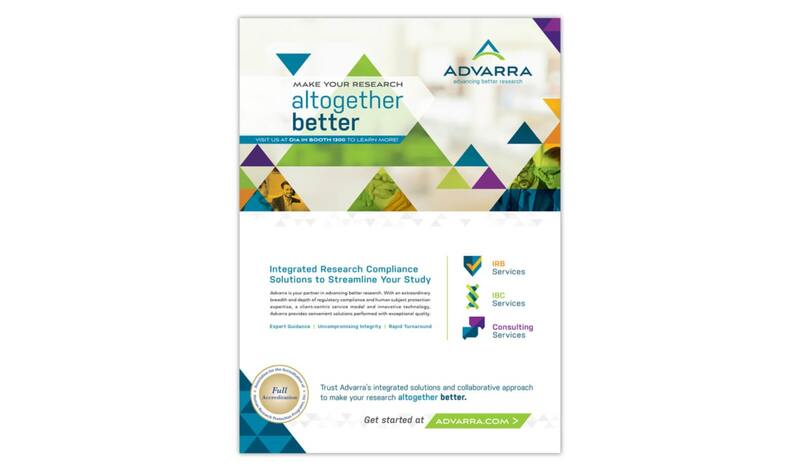 The logo features a stylized “A” that represents Advarra’s position at the apex of the research continuum; an arching crossbar that symbolizes the forward movement of research and Advarra’s involvement throughout the process; and a wideset base that conveys the strength and stability of the merged entities. 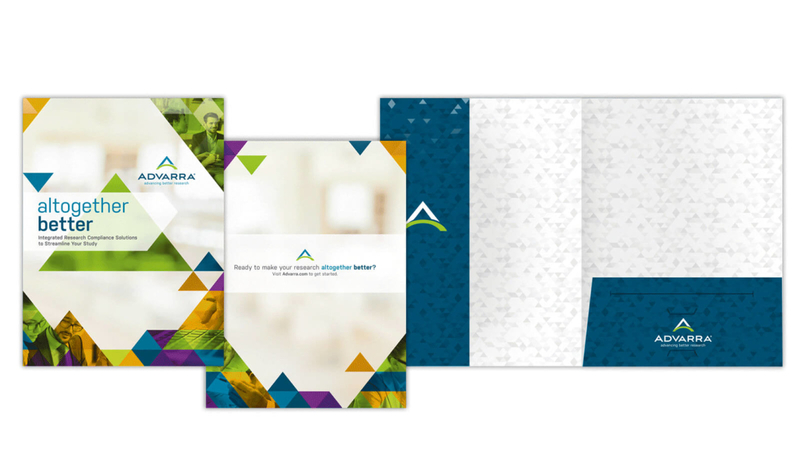 Relying on the research we conducted throughout the naming, logo creation, and merger announcement processes, SCORR developed Advarra’s Big Idea — compelling visuals and core messaging to convey the new company’s value proposition: Altogether Better. This highlighted the company’s strong, integrated approach and its seamless, broadened range of integrated compliance services. Additionally, the new Altogether Better brand incorporated the triangular shapes and colors in the already-released logo. A major component of the new brand was the website, as its launch would also support SCORR’s comprehensive plan to introduce the combined company to the industry. As such, the website needed to showcase the company’s new visual identity and include core messaging that articulated its value proposition. 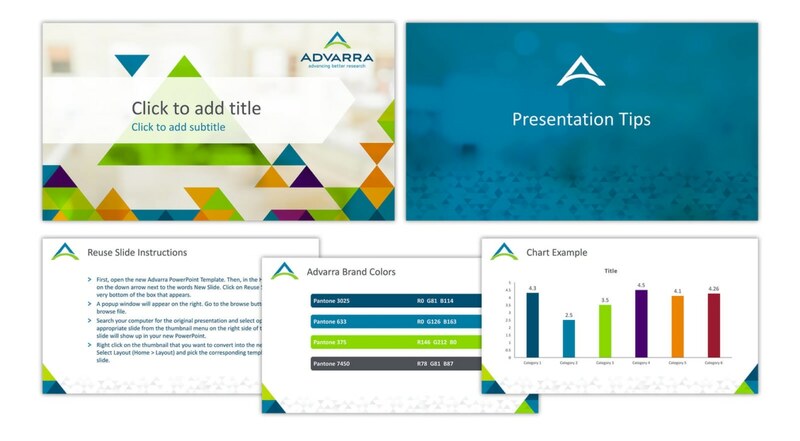 It also needed to provide ready access to frequently used documents and function as an entry point to Advarra’s online platforms. 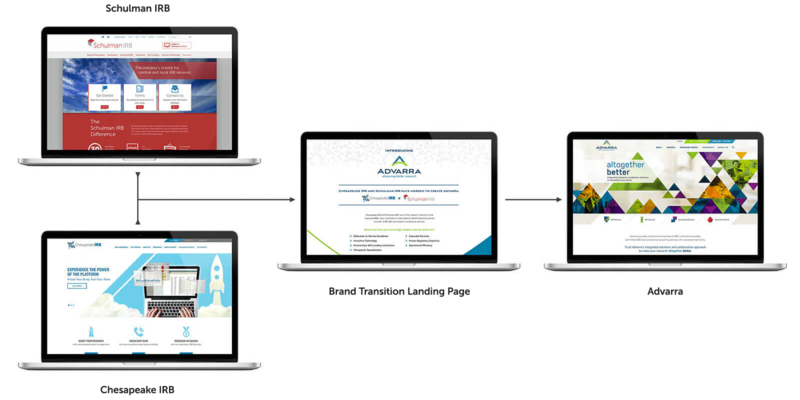 The reveal of Advarra’s new website created traffic spikes through the following month; compared to the merger announcement microsite, the full website attracted more than five times the traffic on the day of its launch. 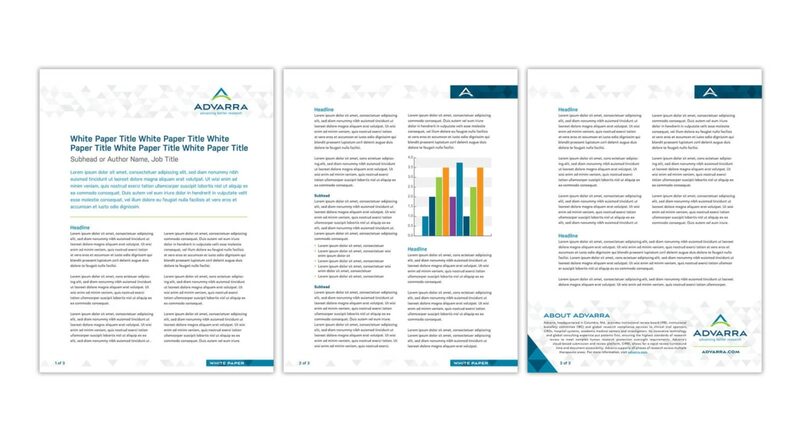 Visitors’ time on site increased as well, suggesting the new format and content was more engaging and relevant to Advarra’s target audiences. 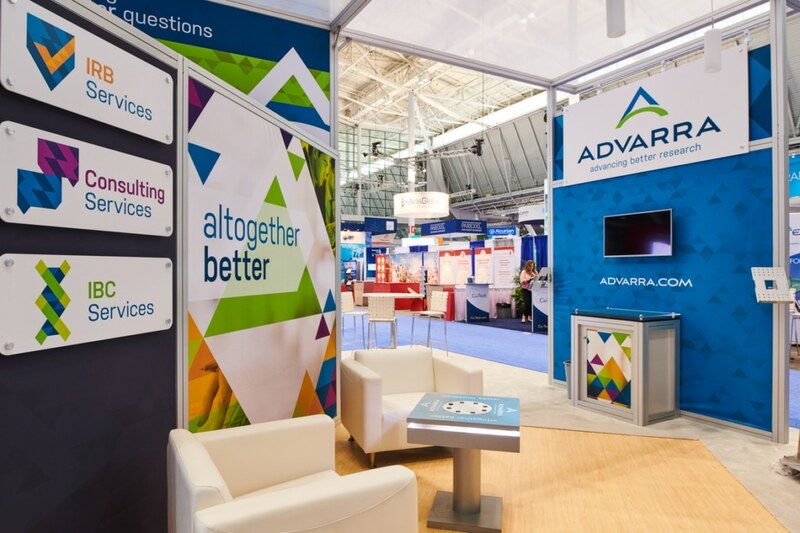 Alongside the website, SCORR developed a flexible suite of marketing materials, a booth design, and sales collateral poised for growth as Advarra expands its global reach and capabilities.